According to the RE/MAX Reporter, “When it comes to production, a clean sweep of awards by a single office in every category is rare. But they do happen.” RE/MAX Dallas Suburbs was recently ranked as the number one office in the Dallas Council in every category: Commissions Paid, Listing Units. Listing Volume, Sales Units, and Sales Volume. 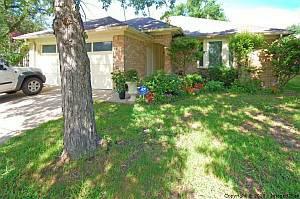 Arlington TX Homes For Sale – Split bedrooms, updated master bath with furniture style vanities, walk-in closets, and garden tub with separate shower. Fresh paint and carpet. Home is situated on quiet cul-de-sac. City park and pool within walking distance. 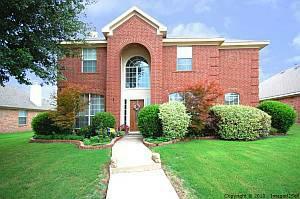 Plano TX Homes For Sale – Well maintained home with beautiful landscaping zoned to Blue Ribbon elementary. Large backyard has extended covered patio with shingled roof. Light and bright island kitchen with gas cook top and built in desk. Designer touches include archways, chair rails, and Berber carpet. Both full baths have dual sinks. Master retreat has sitting area, and his and hers closets. Third living area up is perfect for game room. Recent exterior paint. Click here for current status, pricing, photos, and floorplans. 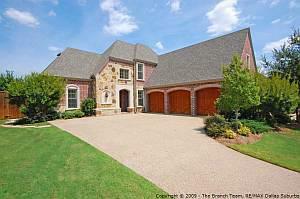 Allen TX Homes For Sale – Gorgeous Huntington with stone elevation and hand scraped hardwoods. Gourmet kitchen with granite, travertine, double oven, tumbled marble, maple cabs and commercial grade apps. Living area overlooks private flagstone courtyard. All bedrooms have private baths. Golf course view from upstairs. Plantation shutters, faux finishes, and upgraded fixtures. Media room and living area up with sink and mini fridge. Walk to golf, tennis, swimming and more!. Good article. Note that the new EPA rules will have an impact on people renovating their own homes as well as people who renovate for others. Until October 1, 2010, EPA will not take enforcement action for violations of the RRP Rule’s firm certification requirement. (It should be noted, however, that only the certification requirement is delayed and that failing to follow safe work processes will trigger a violation). For violations of the RRP Rule’s renovation worker certification requirement, EPA will not enforce against individual renovation workers if the person has applied to enroll in, or has enrolled in, by not later than September 30, 2010, a certified renovator class to train contractors in practices necessary for compliance with the final rules. Renovators must complete the training by December 31, 2010. The June 18 EPA delay notice follows the introduction of an amendment within the Fiscal Year 2010 Emergence Appropriation Bill from Senator Susan Collins (R- Maine) which would prevent EPA from fining contractors for non-compliance with the training requirements for lead paint hazard mitigation if the contractors sign up for the mandatory EPA training by September 30, 2010. This bill is scheduled to go before the House for final approval on Friday, June 25. Unfortunately, the lack of an adequate number of certified trainers throughout the country is only one of the problems associated with implementing the EPA final rule with the exclusion of the “opt-out” provision. Another continued concern relates to the mandated use of unreliable test kits that will needlessly burden homeowners with the increased costs of lead abatement, where lead may not be present. EPA representatives have acknowledged that the current testing kits register a high percentage of false-positive readings. Forcing homeowners to pay for potentially unnecessary lead abatement based on EPA-acknowledged faulty testing becomes a legal issue. According to Walker, any contractor using test kits known to have less than a 60% accuracy rate would be targeted for litigation. AAMA continues to advocate for a full review of the EPA final rule as requested in a letter to Environment and Public Works Chair Barbara Boxer from Senator James Inhofe (R-Oklahoma). Additionally, the association is working with AAMA members and other affected industries to solicit additional co-sponsors for S3296 (Inhofe) and HR5177 (Representative Denny Rehberg; R-Montana), two bills currently circulating that request a full year delay in the implementation of the final rule. Walker believes that allowing the final rule, as written, to be implemented puts the Senators opposing an implementation extension on record as supporting efforts to force homeowners to pay for unnecessary abatement procedures based on the use of faulty test kits of which Congress was made fully aware. “A number of important issues need to be addressed before the public is faced with paying for this overreaching and poorly administered provision. We are hopeful that all members of Congress will take their position of providing oversight seriously in this matter and determine that a hearing examining the EPA decision to remove the opt-out provision is necessary and warranted,” states Walker. I was dropping off a deposit at my local bank this afternoon. After taking care of business, I prepared to exit the parking lot. I had to go left across 3 lanes traveling the other direction. I cleared to the right and noted a vehicle in the center lane, I looked left and had oncoming traffic but had plenty of room. 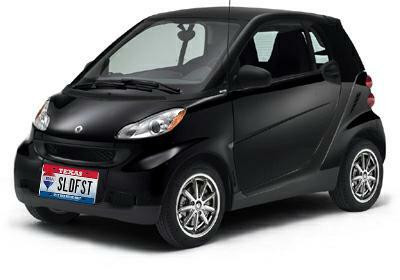 I pressed on the accelerator on the Smart Car. I remembered that car in the middle lane so I turned into the closet lane. The next thing I hear are horns blaring and the see the other car pulling into my lane. I’m not sure if he started into my lane before I started across or if he wanted in while I was turning left. He was so close to me that I could not see the front of his car and his hands were waving frantically. I made the next left and he followed me, I made a quick turn into a parking lot and while he started to follow, he decided otherwise and pulled back into traffic. If I was at fault, he has my apologies. If he saw me coming across and decided to change lanes, there’s not much I could do after I started across. Either way, a little courtesy would have gone a long way. Where Short Sales are concerned, the REALTOR®’s role is crucial. Proper pricing is always important, but it’s even more important with a Short Sale, because the foreclosure clock is ticking. If the house goes on the market at too high a price, valuable marketing time is lost. The majority of showings occur in the first few weeks of being on the market, so you want to make sure the house is priced properly when it goes on. Once an offer is accepted and a contract executed, that’s when the real work starts for the REALTOR®. The first step of course is completing the paperwork and gathering all the necessary documents. 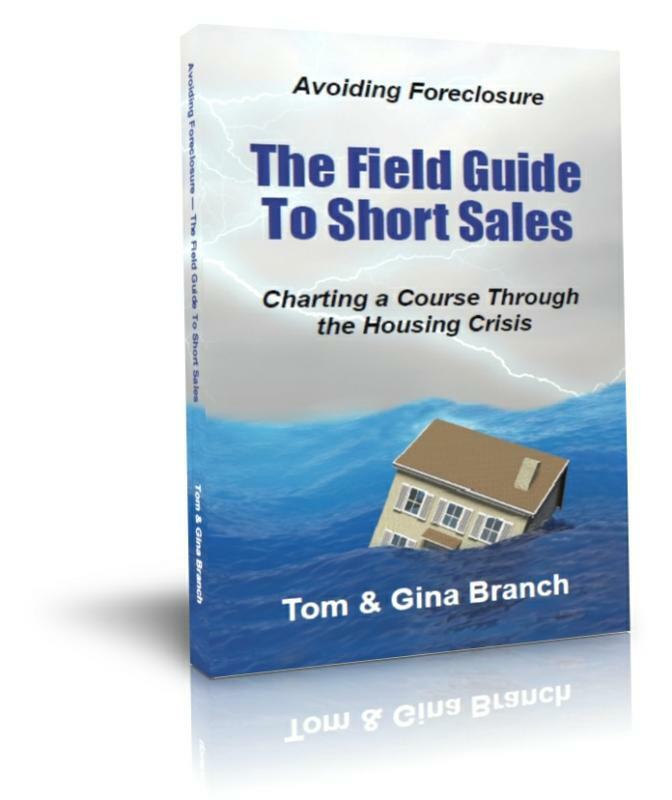 Sending a complete Short Sale package in to the bank on the first pass is important. Otherwise the package just sits there until someone decides to let the REALTOR® know what’s missing. This could be days. This could be weeks. Sometimes the bank won’t call at all. They will just let the file sit until the REALTOR® calls and asks for a status update. The bank will not process any part of the package until they receive the entire package. Again, the foreclosure clock is working against us so we can’t afford to waste any time. Once the bank receives the entire Short Sale package, it will go to a pre-processing department where the information will be verified. 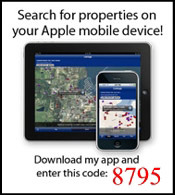 Next, the file will be assigned to a negotiator who should contact the REALTOR® with an update. If it took longer than 30 days to for the package to make it into a negotiator’s hands, sometimes they will require updated documents – pay stubs, bank statements, etc. They always want to work with the most current information. Then it’s time to review the offer contract and the other documentation provided by the buyer. If everything checks out, the bank will forward the package to their investor for approval. The investor will either approve or deny the Short Sale. If it’s denied strictly based on the numbers, the negotiator will typically submit a counter offer back to the listing agent. If the bank needs a higher price for the house, the listing agent has to go back to the buyer’s agent and negotiate that. Sometimes buyers walk away at this point; other times they will bring their price up to meet the bank’s counter offer. The sales price of the property is usually the biggest reason that a Short Sale will be denied. However, after reviewing the borrower’s financial information, the lender may determine that the borrower can repay the note or has the means to pay off the shortage. Once everything is negotiated and all terms are agreed upon, the Short Sale can move forward.